Things looked so promising for Kelechi Iheanacho not too long ago. He came up through the youth ranks at Manchester City and was slowly being introduced into the first team with great effect. He scored 14 goals in 35 appearances in all competitions - including eight Premier League goals - in his debut season before scoring nine goals in 27 appearances the following campaign. Following his meteoric rise, he was the subject of a £25m transfer to ​Leicester City where he would get more playing time and a more meaningful role - however, he's failed to hit the heights many thought he would. He scored three ​Premier League goals last campaign and has just two goals in all competitions to his name so far this season. Fans have begun to lose some faith in the 22-year-old, and his recent performances for Nigeria haven't helped matters. 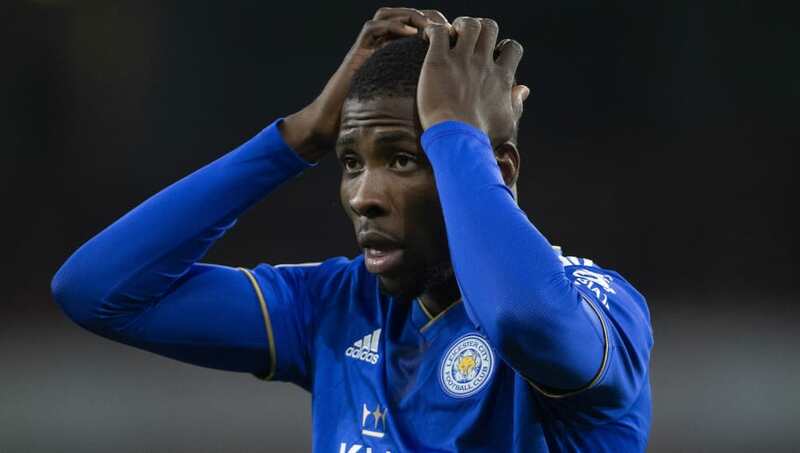 He was part of the Super Eagles side who drew 1-1 with South Africa in their Africa Cup of Nations qualifying game, however his poor performance was highlighted after he missed a number of opportunities to win the game for his team. Fans were quick to jump on his back, with many taking to Twitter to slam his latest disappointing showing. Iheanacho is not elite at all. Too unserious. He is a bigger star in his head than he actually is. If we're honest, Iheanacho has regressed...and badly too. What happened to him? Iheanacho will hope he can rediscover the kind of form he showed whilst at ​Manchester City, where he seemed to score whenever he played. At the age of just 22, he still has plenty of time to develop and although his career is far from over, he might need to do quickly - with fans quickly losing faith in his ability.